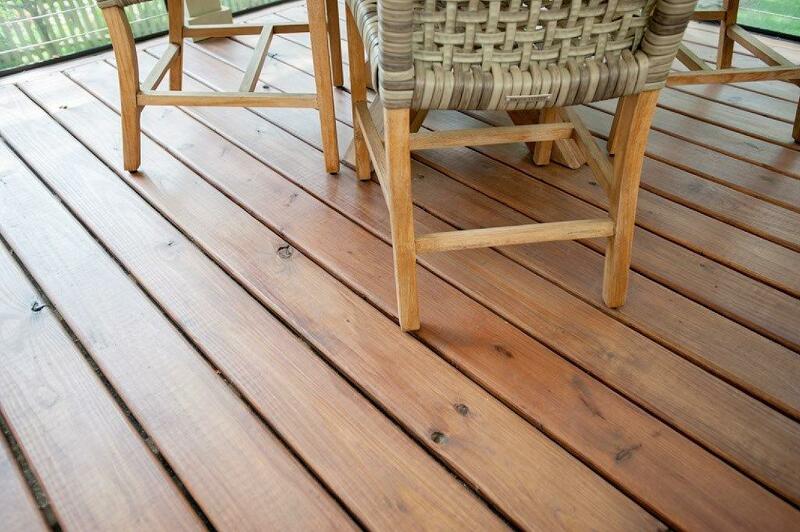 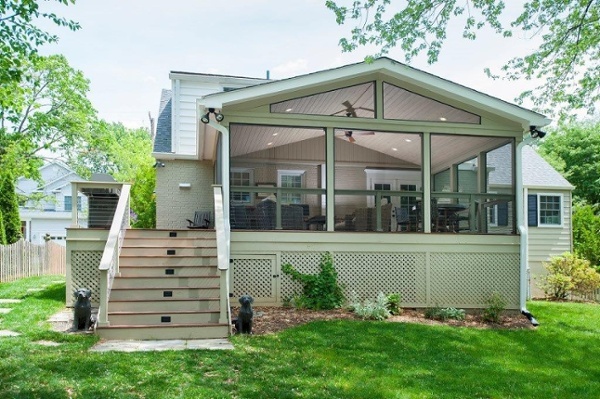 This pressure-treated deck was built in Bethesda, Maryland. 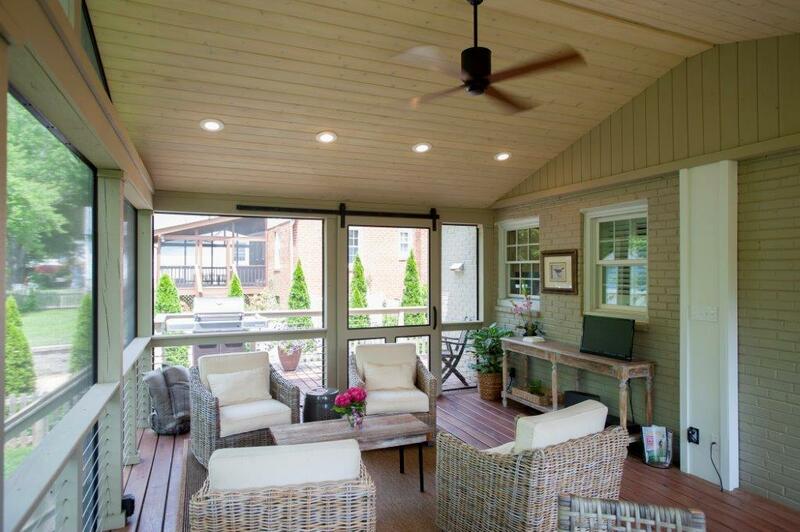 It features hardwood all around, a sliding barn door, an outdoor ceiling fan, a SCREENEZE screening system, and more. 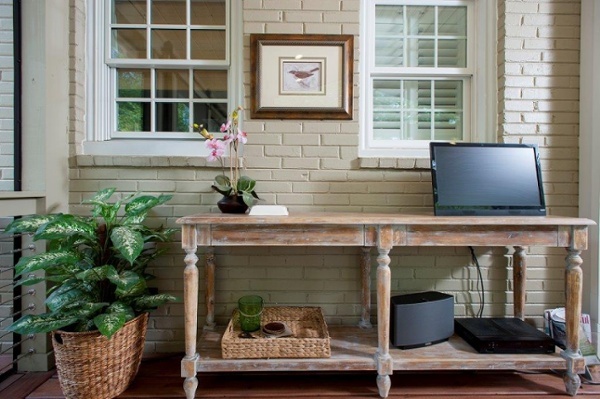 A designer outdoor ceiling fan ensures the area stays cool in the hot DC summers, while the porch screens keep out the bugs, mosquitoes, and dead foliage. 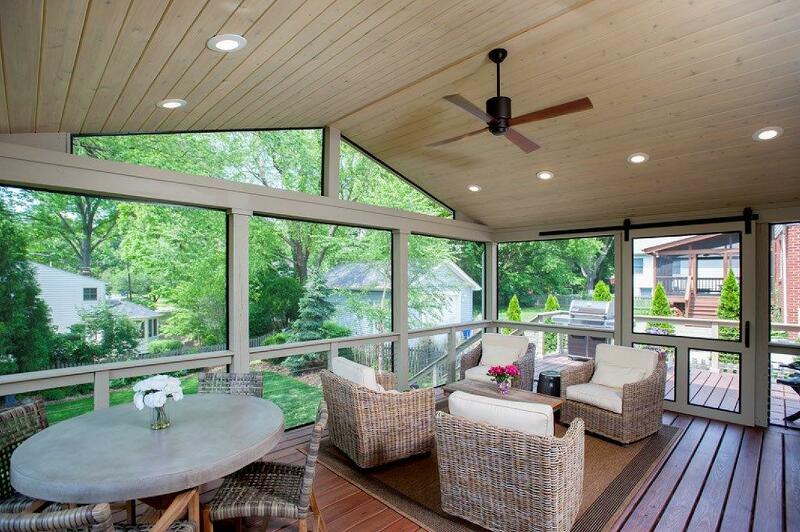 On display in this custom screen room design is off-white painted pressure-treated wood to match the stained cedar ceiling, and contrasting black hardware features to add design flair to the outdoor living space.This technique adds variety to otherwise straightforward outdoor projects, and works well. In this case, the dark-colored fan blades match the stained pressure-treated wood deck boards while contrasting with the whitewash stain and black door hardware and screens that make up the outdoor renovation.